Prime Minister Justin Trudeau visits supporters and workers in Regina on July 1, 2018. The future of the North American Free Trade Agreement negotiations was injected with a new dose of uncertainty with the election of a new president in Mexico on Sunday. Following his overwhelming majority win, Mexico’s president-elect Andres Manuel Lopez Obrador said he supports reaching a deal on renegotiating NAFTA with the United States and Canada. But the NAFTA talks have been stalled for several weeks and Lopez Obrador enters the scene as tensions between Canada and the United States have intensified as the two countries have become embroiled in a trade dispute. After the election, Lopez Obrador said he’ll propose that his own team of experts be included in the trade talks. The winning candidate said he will make that proposal in a meeting Tuesday with current President Enrique Pena Nieto. But with Trump’s inflammatory rhetoric, Canada’s retaliatory tariffs against the U.S. and a leftist, anti-establishment Mexican president about to join the fray, there are some who believe any North American Free Trade Agreement talks may be in long-term limbo. The Trump administration accused Canada of being a national security threat when it slapped tariffs on Canadian steel and aluminum in June. Canada has retaliated with $16.6 billion in counter-tariffs and the U.S. midterm elections are in the fall. These are all factors that point to a stalemate, said Moshe Lander, an economist at Concordia University. “I don’t see how (Trudeau) is going to get this done,” he said. Trudeau had been working closely with Pena Nieto on NAFTA and spoke with him about the deal just ahead of the elections on Friday. During this conversation, they “reaffirmed the close friendship” and agreed to continue working toward a mutually beneficial outcome on the trade agreement, a read out of the conversation from the Prime Minister’s Office said. Now, Trudeau is reaching out to the new president in the hopes of maintaining a united approach with Mexico when talks do resume with the United States. “Canada and Mexico are close friends and longtime partners. We share common goals, strong people-to-people ties, and a mutually beneficial trading relationship that is the envy of the world — reflected in our joint effort to update the North American Free Trade Agreement for the 21st century,” Trudeau said in a statement congratulating Lopez Obrador on his win. 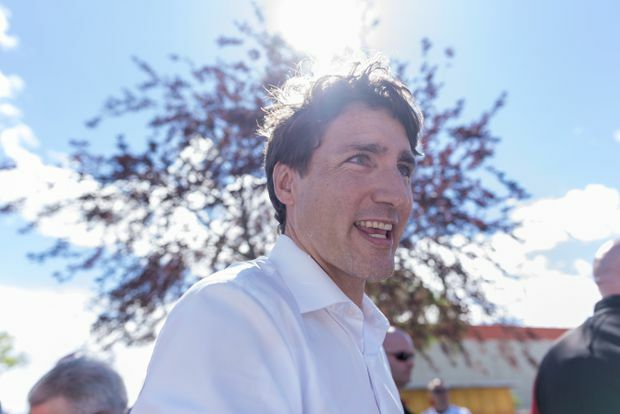 Trudeau later spoke with Lopez Obrador on Monday, wherein they discussed their mutual trade interests and their “shared priority of updating the North American Free Trade Agreement for the betterment of their peoples,” said a readout of the conversation issued Monday. Donald Trump also congratulated Lopez Obrador on his electoral win, however, the U.S. president also said in an interview this weekend he intends to hold off on signing a new NAFTA deal until after America’s fall midterm elections.